The Goat is on Catawba Road between Mother of Sorrows Catholic Church and Heineman’s Winery. This location is less than one half mile to downtown Put-in-Bay. Also, surrounding this property is the beautiful Coopers Woods. Coopers Woods is a tract of wooded land that has remained natural for generations. Lovely walking trails grace the space. Wildflowers and wildlife alike are teeming here. As evidenced in the quirky name, the Goat is well-known for their scratch made soups. Soup selections vary daily. For an excellent lunch, try the Rose Platter. This option gives diners a choice of two homemade soups, a side salad and fresh bread. Also, hearty sandwiches, salads and pastas complete the lunch menu. However, nothing compares to the popularity of the Goat’s signature offering: Perch Tacos. Fresh Lake Erie Yellow Perch are lightly breaded and fried, paired with cabbage and pico de gallo and served on hot tortillas. Lastly, a zesty citrus sauce completes the dish. Most importantly, food critics from around the country have praised this local favorite. Dinner options extend to other culinary delights. Duck Breast, Liver & Onions and a selection of steaks are notable menu options. Regardless, diners will notice the attention to detail. So, meals here are both delicious and memorable. 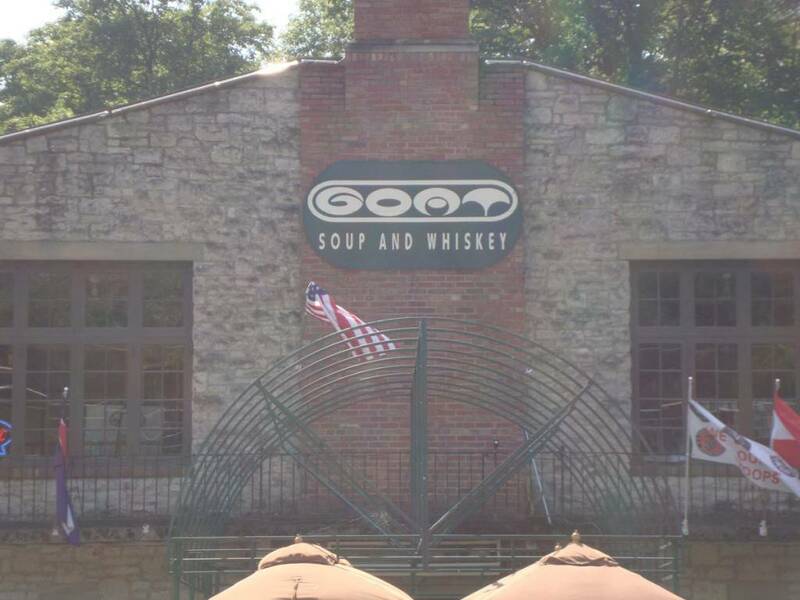 The Goat Soup & Whiskey is the perfect spot for a casual lunch, memorable dinner or just to grab a drink. Therfore, the attention to detail and use of local ingredients make this a Put-in-Bay Restaurant worth checking out. So, stop in and get your Goat on!